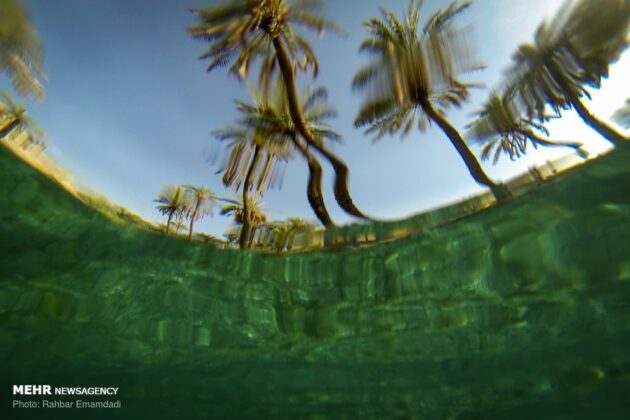 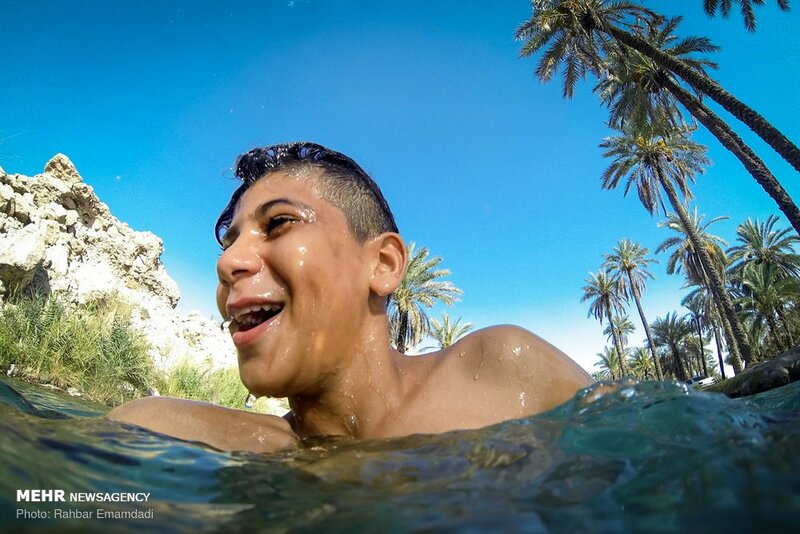 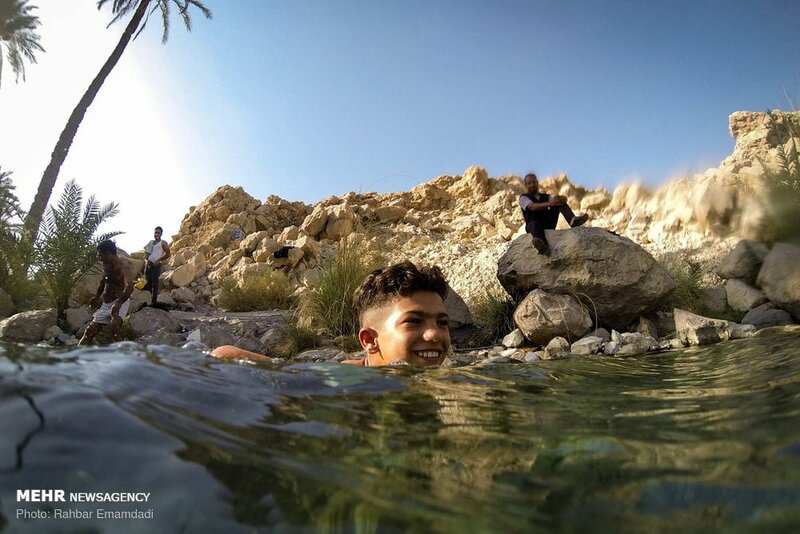 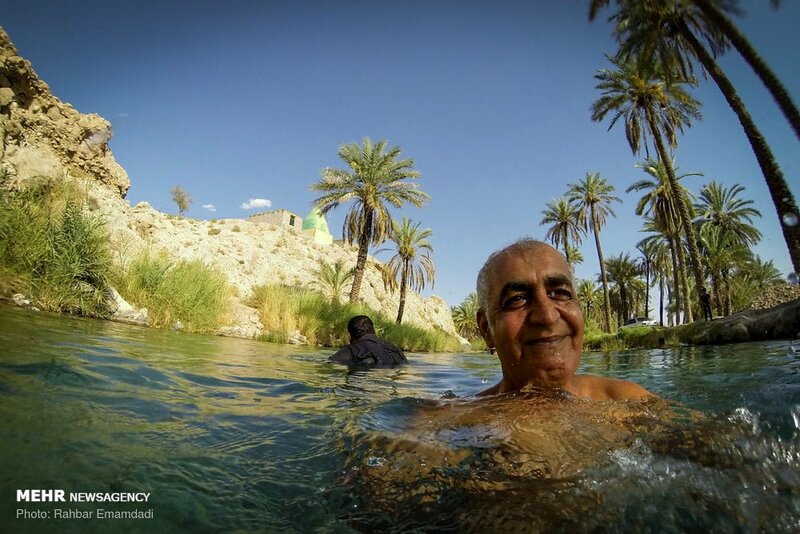 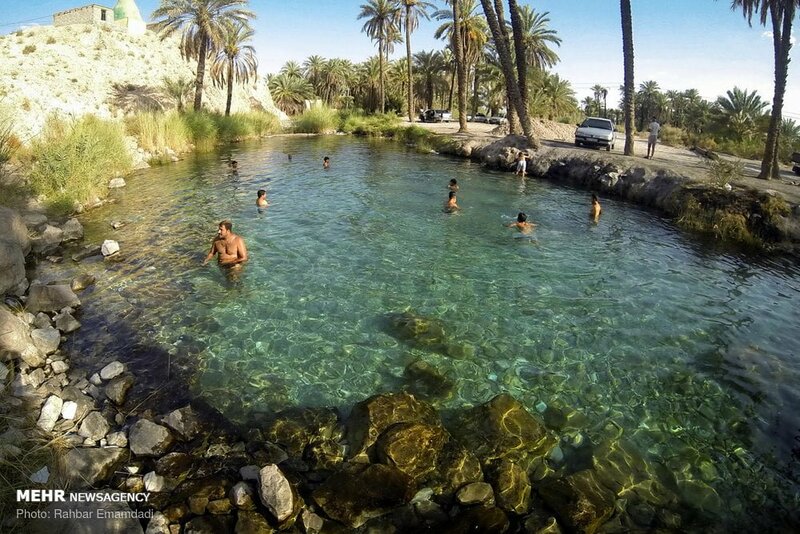 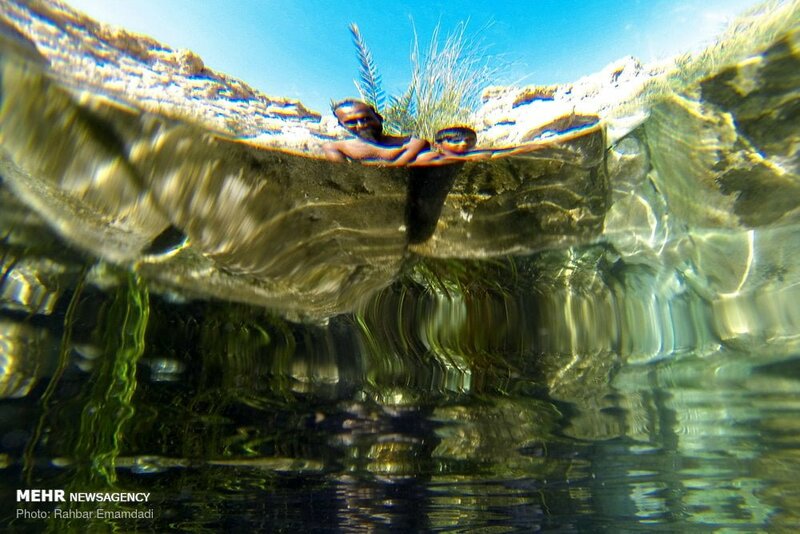 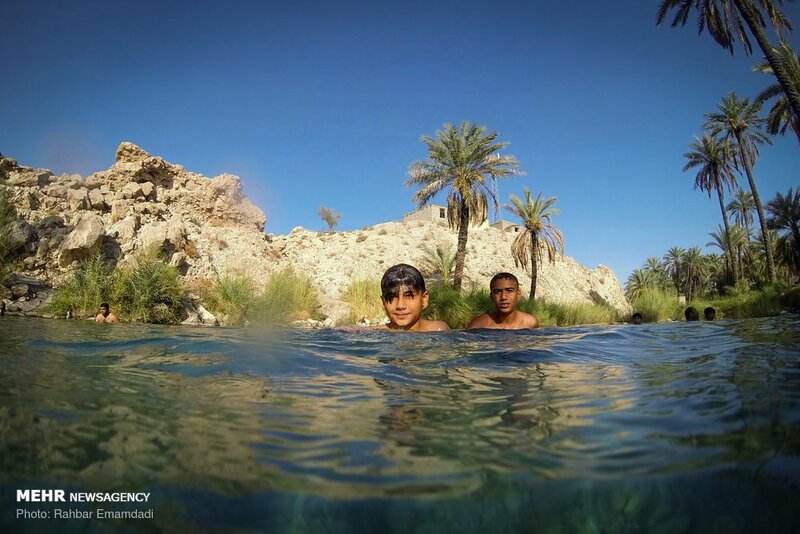 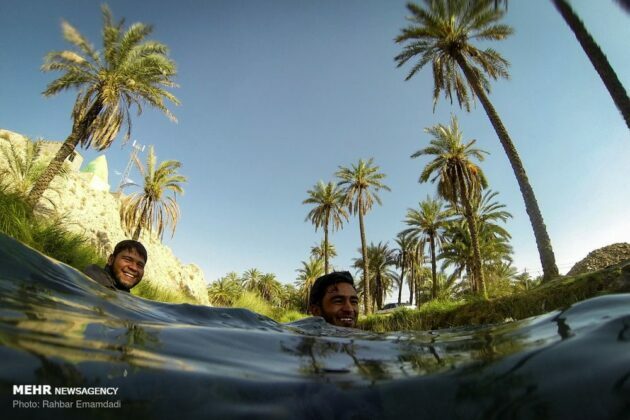 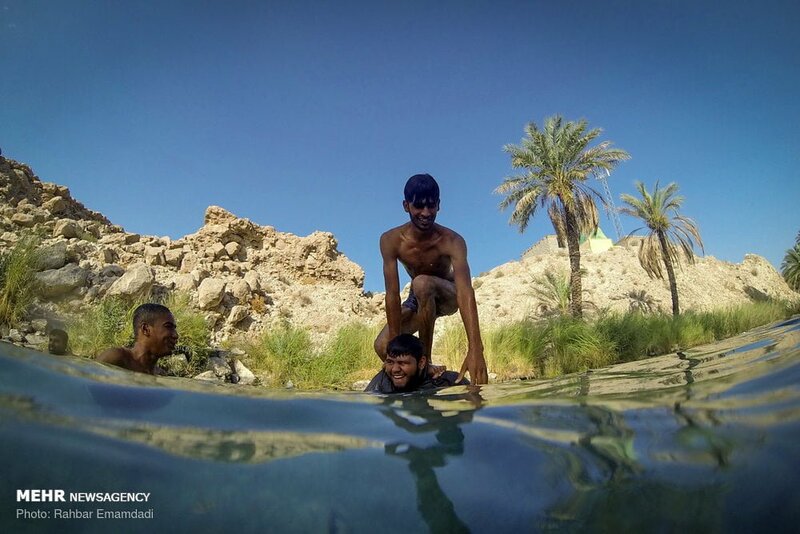 A well-known recreational place in Hormozgan province in southern Iran is the Sabz-Pushan spring in Hajjiabad, which lies next to the village of Barghani. 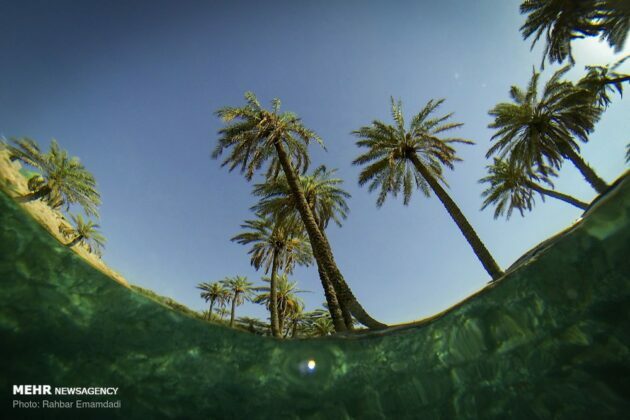 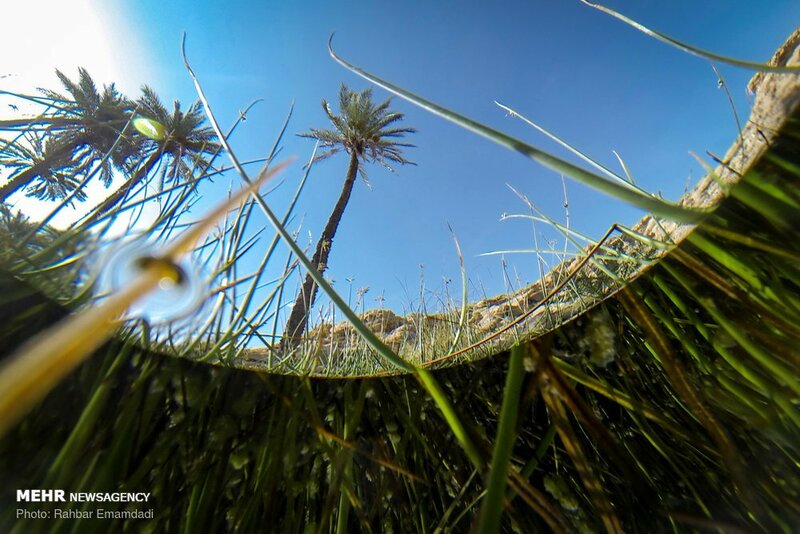 The beautiful spring is located among the palm trees. 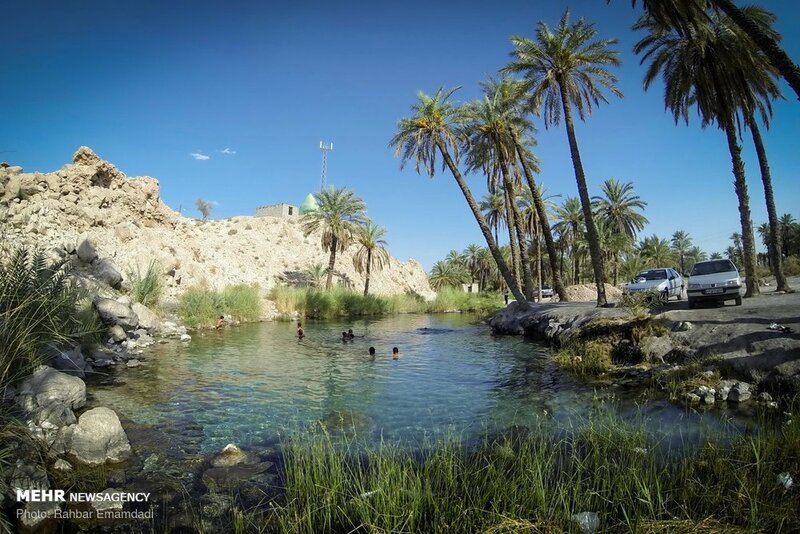 One of the characteristics of Sabz-Pushan Spring that amazes a lot of people is the change in its water temperature in different seasons. 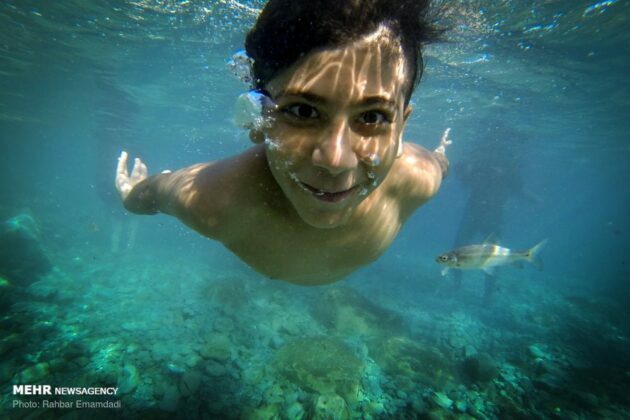 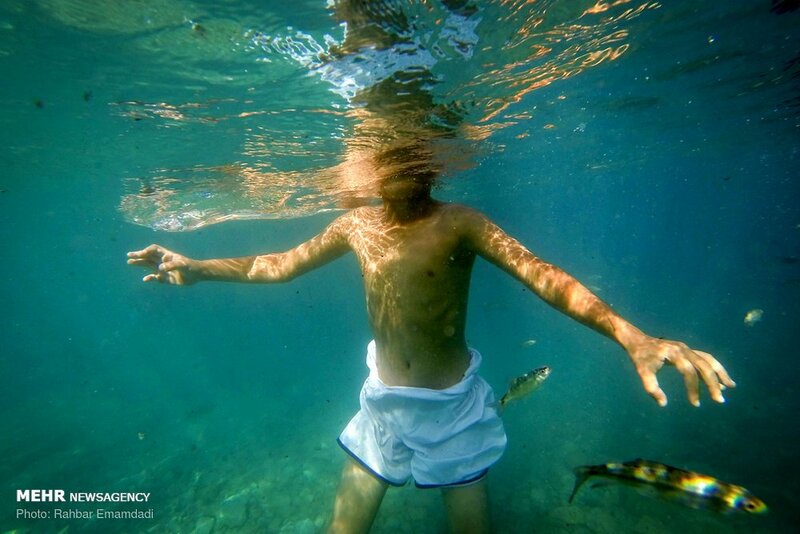 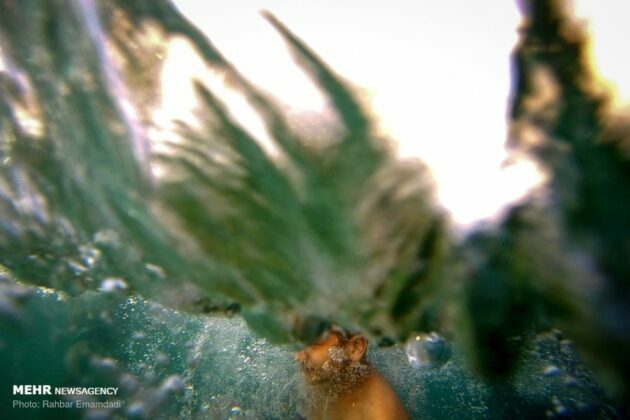 The water of this spring is very cool in hot summers and surprisingly warm – in proportion to the temperature of the human body – in cold and dry winters. 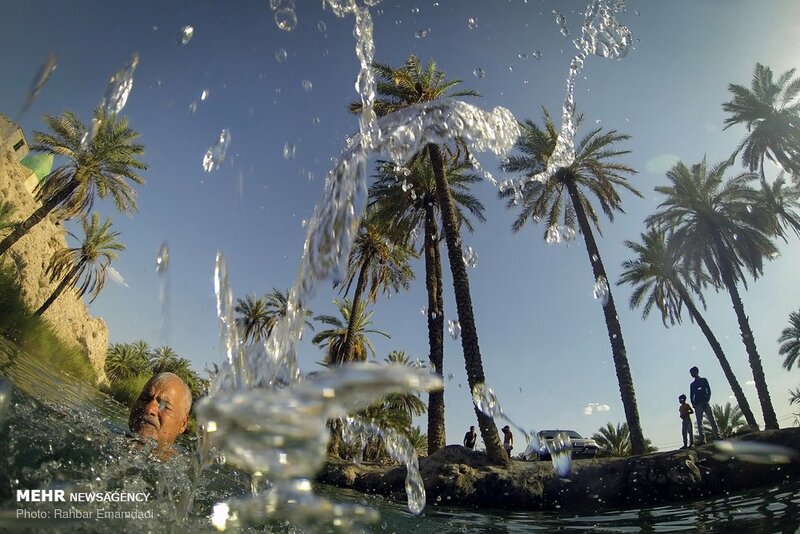 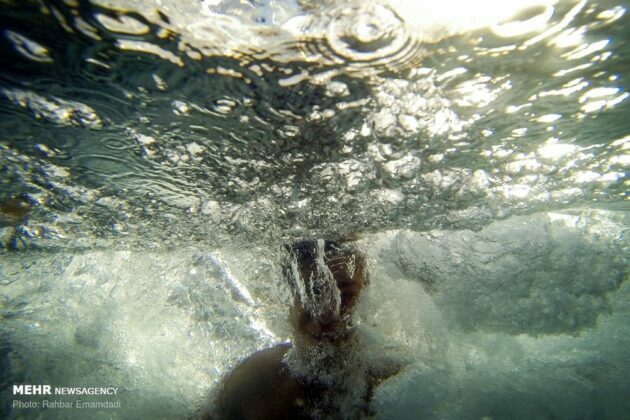 That’s why in all the seasons of the year you can swim in this spring. 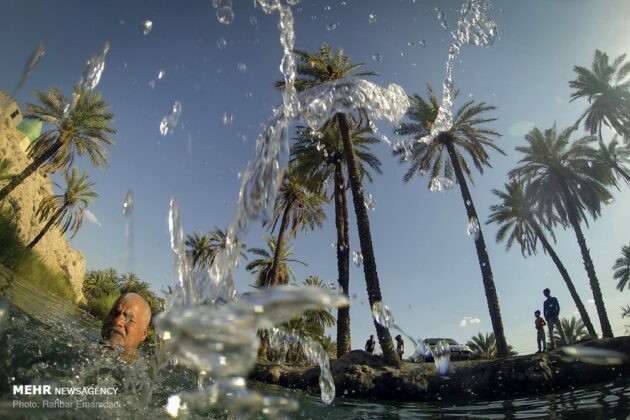 What adds to the value of the spring is the presence of a holy shrine next to the body of water. The spring is home to the Barbus and blackfish species, and various species of molluscs and planktons, which have given a special beauty to it in the warm southern region. The people of the village ask tourists not to catch these fish.